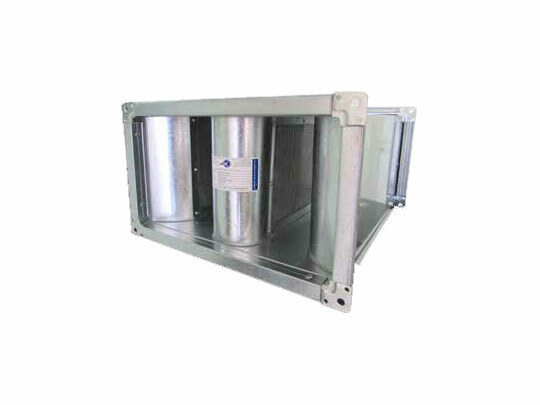 Casing is made of 1.0mm Thick (20 Gauge) galvanized steel. Casing provided with 30mm flanges as standard. 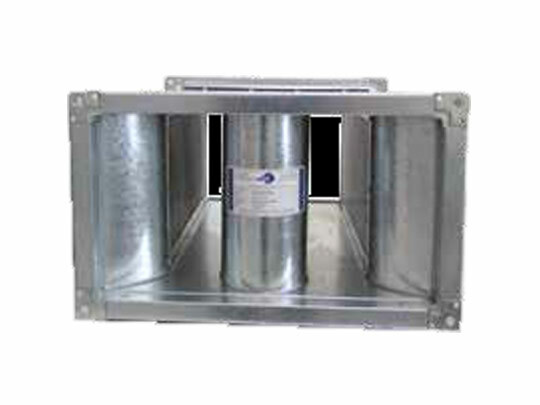 High-pressure duct sealant is applied inside the casing along the length of each seam, and for rectangular casings behind each flanged corner that coincides with a seam, to provide an airtight seal. Splitters are made of 0.8mm Thick high quality Galvanized Perforated Sheets, which are internally insulated with acoustic fiberglass material. Splitters are formed to thickness options from 75 to 400mm wide centre splitters with different Airway area from 50mm to 250mm. The Attenuator shall be provided with Side Splitters. All internal splitters having aerodynamic shaped fairings, being mechanically lock-formed to the perforated metal splitter casing and stiffened in such a way as to eliminate splitter deformation.